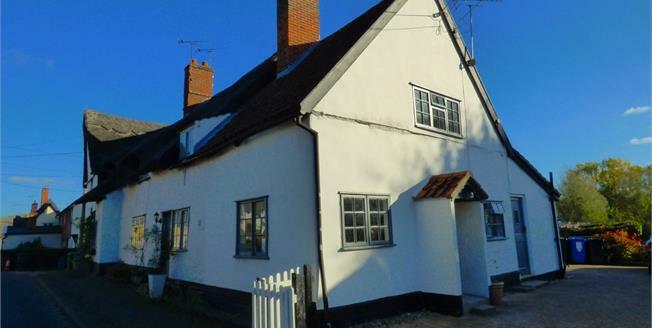 This stunning Grade 2 Listed two bedroom cottage offers a wealth of character and charm. The property has been refurbished to a high standard throughout. On the ground floor there is a lounge with carpet and wood burner stove, and at the rear is the fitted kitchen and breakfast room with wood laminate flooring and shower room with tiled floor and walls. On the first floor there are two carpeted bedrooms, with loft access from Bedroom One. The property does not have any garden but does benefit from exclusive rights to a block paved parking space, and is ideally located centrally to the village. Offered for sale with no onward chain.